Home / Congratulations to ACAM grads of 2015! Congratulations to ACAM grads of 2015! 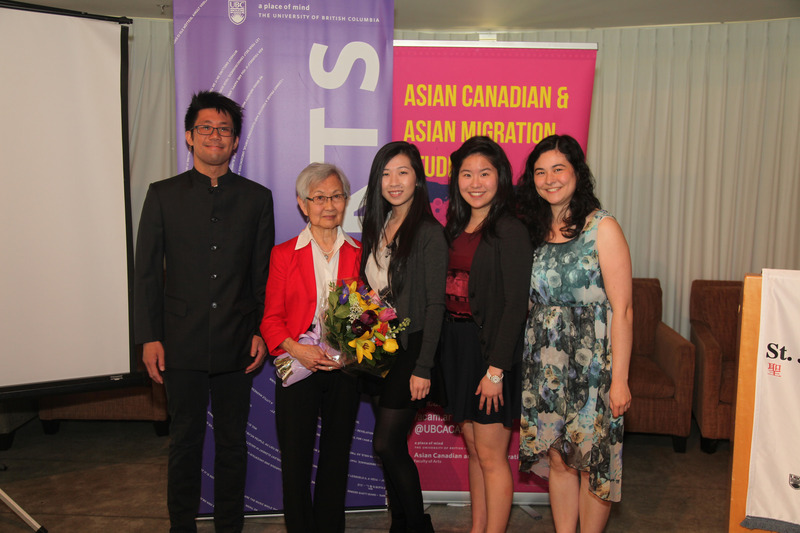 On behalf of the students, staff, and faculty of UBC’s new Asian Canadian and Asian Migration Studies Program, I would like to thank you for attending our graduation celebration and reception on May 8th, 2015. It was a memorable afternoon and I am grateful to our many friends and supporters for taking the time to congratulate the first graduates of ACAM: Dominique Bautista, Elizabeth Cheong, Carolyn Nakagawa, and Nicole So. As our keynote speaker Mary Kitagawa reminded us last week, ACAM is the result of sustained efforts by students, faculty, staff, and community members over many years. As we continue to build this program in the coming years, the support of people like you will ensure that ACAM continues to provide opportunities for community-engaged learning. We would also like to acknowledge the PCHC-MoM Society (http://pchc-mom.ca/) and explorAsian (http://explorasian.org/) for helping to make this event possible. Thank you all for joining us on this exciting journey!